SG Tanks completed a range of installations of oil tanks throughout January 2017. 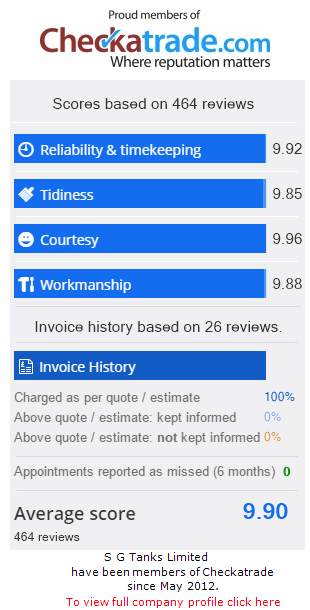 We were very pleased to see that many of our satisfied customers took to Checkatrade to voice their happiness with our high quality service. We pride ourselves on offering an honest, courteous and reliable service at a brilliant price. We are always delighted to hear from clients, and we look forward to working on further installations across the year. Please read through our range of excellent reviews below, and visit our Checkatrade page for more! “Sean responded promptly to the request for a quote, came to the property same day, and provided a detailed quote within 24 hours for a new oil tank, oil to be transferred from old tank, old tank removed, plus a 30m trench digging and 40m of new line laid. 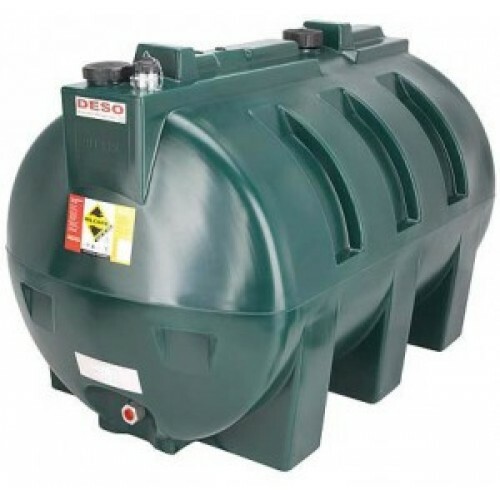 If you’re interested in having an oil tank installed on your property or you need any work completed on your current, don’t hesitate to get in contact with us today. Call us on 01903 856403 or email salessgtanks@gmail.com.